I love entertaining and throwing parties. I was hosting dinner parties for my friends in high school. During my senior year in high school, my final project in speech class was about tablescaping. Yes, I love throwing parties. I love making food, drinks, inviting over friends and family - there's just nothing better. But, when you're zero waste things get a little bit more difficult. It's pretty easy to buy package free food for a couple of people. But, when you're entertaining a lot of people, it gets more challenging! You have to buy more food, drinks, and find a place to store all of it before the party. Plus you have more cooking and dishes to do. When living a zero waste lifestyle, you can't rely on easy prepackaged food. So, I wanted to break down my five favorite tips for throwing a zero waste party. Ok, so maybe this is just because all parties should have themes. (it's so much more fun!) But, it makes planning a party easier. The theme doesn't have to be crazy. I recently threw a wine and cheese party. By picking the theme wine and cheese we were able to keep things really simple! It was much easier to shop. I knew I could hit the bakery, the farmers market and the cheese shop to get everything package free. When you pick a theme, you can streamline, keep things simple, and most importantly - avoid trash! I always joke that the zero waste motto and the boy scout motto are one in the same. "Be prepared!" For the wine and cheese party, I bought a whole bunch of wine from local vineyards and I arranged a large cheese platter with fruit, nuts, and toasted bread. I was able to keep the whole thing vegetarian which made me super happy! I even snuck a vegan nut cheese in there. When throwing a holiday party, the theme is handed to you like Fourth of July where I love to make berry pie with the US Flag in lattice work or Thanksgiving where I like to use mini-pumpkins as place settings. For Halloween, I've carved a spooky crudités carrots ready to be dipped into roasted pepper hummus oozing out of a cauliflower brain. I like to focus on food as the centerpiece because it's beautiful and edible - a zero waste win all around. When you're planning your party, work with nature. Use what the seasons and mother earth has provided you with. I fully believe the most beautiful decorations are decorations from outside like flowers, herbs, twigs, produce, etc. When the event is over they can be composted or eaten. There's no need to buy plastic junk from a party supply store. Whenever I'm planning a party, I start thinking about my menu a couple of weeks in advance based on what is in season. The week before my party, I like to check with the farmers at the farmers market to make sure that the ingredients I need will be available for the party. All of my parties have real plates, real cups, real dishes, and even cloth napkins. I know that it can seem daunting, but I promise it actually makes clean up faster. I've found that with real dishes people respect them a lot more. They're much more likely to hold on to their cups and dishes, and they're not going to set it down, forget about it and grab another one. Just make sure to start the party with an empty dishwasher and washing machine. At the end of the night you can load everything up and wake up to clean dishes and napkins in the morning. If you don't have a dishwasher, take your friends up on their offer to help you clean! I don't have a dishwasher, and we always made a second little party out of clean up. You don't have to go overboard for parties. I always have to pull myself back because I over buy food, over commit to making too much, make things way more complicated than they have to be. Over the years I've really learned to streamline my menu planning. Not everything has to be complex. Sometimes it's nice just to let good ingredients shine. If I have under 10 people, I go for a dinner party and keep the sides very, very simple. If I have over 10 people coming then, I do finger food which prevents me from having to wash a lot dishes. With finger food, you want to have 12 bites per person. I try to offer at least 5 different nibbles 3 of those nibbles will be things I do not have to make. At my wine and cheese party the only thing I had to make was the crostini. Everything else I simply chopped, sliced, and arranged. By opting for lots of fresh fruit or produce, I can easily keep things zero waste. I also like to buy nuts and chocolates from the bulk bins, and I like to hit up the deli to grab olives or other party platter foods. Make sure to check out my post The Ultimate Guide to Zero Waste Grocery Shopping for tips on how to buy your food without packaging. Same things goes for drinks, I keep it simple. I opt for wine, beer, things I don't have to make. If I throw a summer BBQ sometimes I do like to throw in a delicious and refreshing Sangria, but the base is still wine. Living in Northern California, we do have access to some great local wines! Don't forget alcoholic drinks too! I typically opt for tea which I love to buy loose leafed, but Arbor Teas is a fabulous company I also love to support. I really hope you find this guide helpful to reducing waste when you throw your next party! 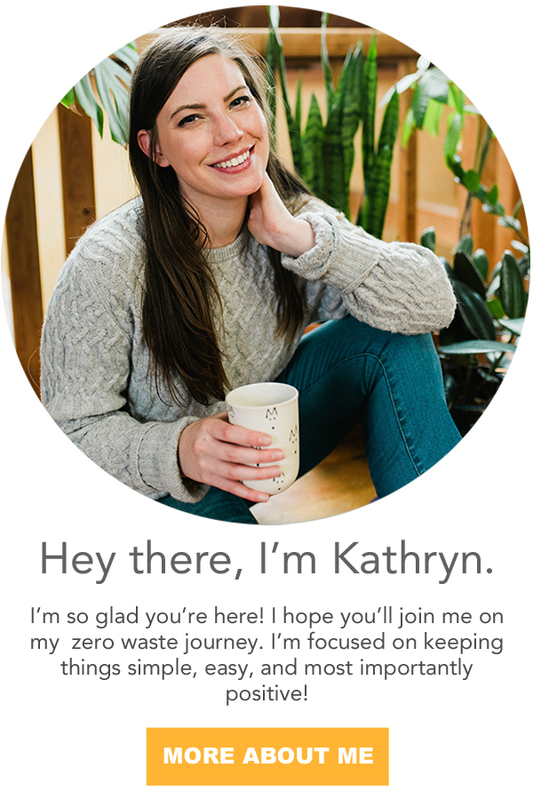 Don't forget to check out my zero waste guide for attending parties too. And, be prepared with zero waste hostess gifts. I'm a firm believer in hostess gifts. If you're going over to someone's home or attending a party, you should bring something to say thank you. In true zero waste fashion these hostess gifts should be useful or consumable. This isn't going to be a super long blog post. Just a few of my favorite ideas because I really don't like showing up to parties empty handed. Having said that, I love leaving parties empty handed! I do not like party favors. I am not in favor of the favors. I think party favors are kind of odd. I've never once thought, "Ooo, a party favor. I can't wait to bring that home." My reaction is normally, "Ooo, a party favor... going to figure out how to 'accidentally' leave this somewhere in the house." I'm sure there are exceptions to the rule, I just haven't found one. Let me know in the comment section below if there's a party favor you have absolutely adored. Of course, if I were invited to some super swanky party and they were handing out gold watches, my tune might change. However, I doubt I will ever be invited to a party like that. I love bringing wine over to parties. It's simple, easy, and typically a welcome edition. Justin and I are members of several local wineries. Living near Napa does have it's benefits. We head to Napa every couple of months to pick up our shipments. We go with Nala, we taste new wines, and it's always a blast! I ordered one of these boxes from Winc*, and the wines inside came naked! No foil around the top. Keeping wine on hand, makes this my go-to hostess gift. It's easy, it's local, and it's tasty! If the party is on a Saturday, you can bet I'm going to bring some plastic free flowers. The farmers market has several flower vendors. Many of the flowers are sold without plastic wrap. Since the flowers are pretty wet, I typically have them wrap them in one sheet of newsprint. I think it's adorable and slightly rustic. Plus, it's totally zero waste. Is there anything better than a loaf of freshly baked bread? You can head down to the bakery and pick one up in your own cloth bag to keep it zero waste or you can always bake some yourself. Check out one of my favorite bread recipes. Olive oil is a great edition to a loaf of bread or a great stand alone gift. I love bringing a local infused olive oil. Amphora Nueva is one of my favorite shops in the bay they have some of the tastiest infused oils. Plus, you can bring your clean bottles back for a refill. See what I did there? I infused a little bit of zero waste in their life. I love bringing plants to house warming parties. Nothing says welcome home like a plant baby! If you buy plants from a local nursery, you can turn the plastic pots back in! What are some of you favorite hostess gifts?